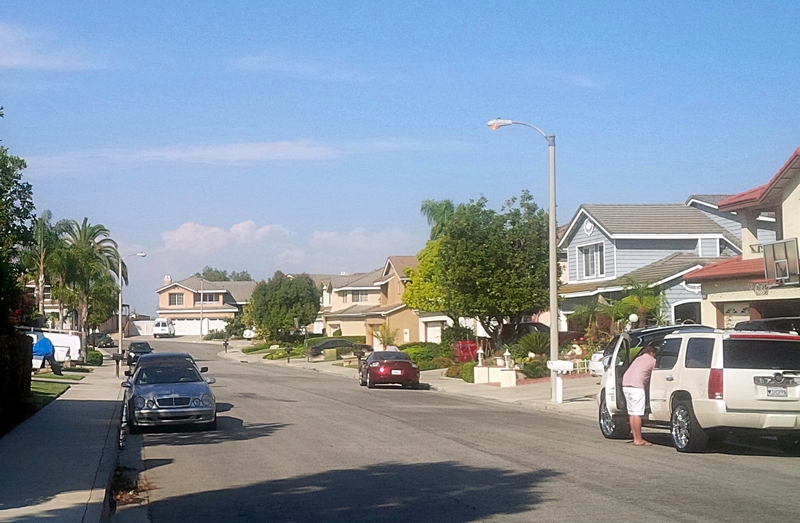 Last Saturday I drove to the South Bay to bartend a high school graduation party in scenic Rolling Hills Estates. Of course, high school graduates are not yet of drinking age, but I served the graduates soft drinks, and mixed harder stuff for their parents and older siblings. The party took place at a very nice property, with a well stocked home bar. I made Old Fashioneds, Dry Martinis, Margaritas, and Mojitos for approximately sixty guests. This was a much different party than the one I attended when I graduated high school. Ours was in a garage and we had a keg of beer and we all got really drunk. That was a different time and place over thirty years ago. These high school graduates are going off the universities like Tulane, and USC next year. The host makes his own wine from grapes he grows himself on his property. I forget the name of the grape he uses, but I had never heard of it before. I decanted a couple of bottles and the guests loved it. He even has his own stylish labels on the bottles. He also makes Grappa, and limoncello. The party went on until midnight and they had a dance floor setup in the living room. It was a very nice graduation party, and I’m sure the graduates will always have fond memories of it. I met some good people who took my card and I hope they will call me for future jobs. I have a long history in the South Bay and I always enjoying back there. Tomorrow I am doing a junior high graduation party in Encino. I will make virgin drinks for approximately 40 kids. I have done a few non alcoholic events. This coming Saturday I will drive out the Palmdale to bartend a wedding rehearsal party. I have other events later this month in Los Angeles and in Oxnard. Follow Shaken Not Stirred on Instagram if you haven’t done so already. Saturday night Shaken Not Stirred provided bartending service for a graduation party in Burbank. The guest of honor certainly deserved a graduation party because she graduated at the very top of her class and completed nursing school at a four year university. I know from friends of mine that have attended nursing school that it is a grueling program, and not everyone makes it, let alone graduates at the top of their class. I salute her, and am sure she will have a very promising career. This year the demand for graduation parties has increased dramatically. I have had so many calls for graduation party bartenders that I have had to turn down many of them. Next weekend I have two bartenders going out to bartend two different graduation parties, while I will be bartending a wedding in Perris. Next month there are several graduation parties as well. 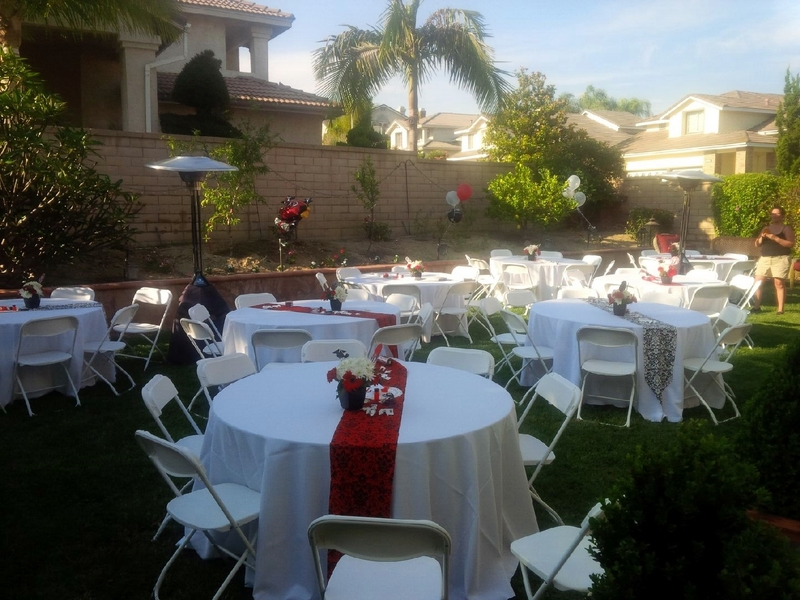 The Burbank graduation party took place in the backyard of an uncle. The grandparents had emigrated from Cuba just after the revolution. I always like talking to Cuban immigrants because they know the devastation that Communism causes. I know this is not a political blog, but I am extremely anti-socialist/communist. I got that from my ex wife who was from Chile. She told me what happened when a socialist, Salvador Allende was elected as president of her country and was a puppet of the communists in Cuba and the Soviet Union. In two years, the economy was destroyed, all in the name of “redistribution”. Now, people in this country think socialism is the way to go here. How ignorant of them. I will probably lose business over this, but I don’t care. It burns me up anytime I see someone wearing a Che Guevara shirt. They have no idea who he really was – a mass murderer. Pisses me off when I see people glorifying this culito! Anyway, back to the party. I served margaritas and vodka drinks. We served completely out of beer and they had to go get more tequila. The guests came to party. I set up my portable bar in the back yard, the taco man from Paulina’s Catering set up right next to me. I always enjoy watching the catering people do their job. He was very efficient and made it look easy serving 60 people. Next weekend I am headed to Perris in Riverside County to bartend a wedding, while my other bartenders are doing graduation parties in Castaic and Chino Hills. Later this month will be in Palm Springs for a bachelorette party and a cocktail party later that night. Then, I will close out the month for a wedding in downtown LA. 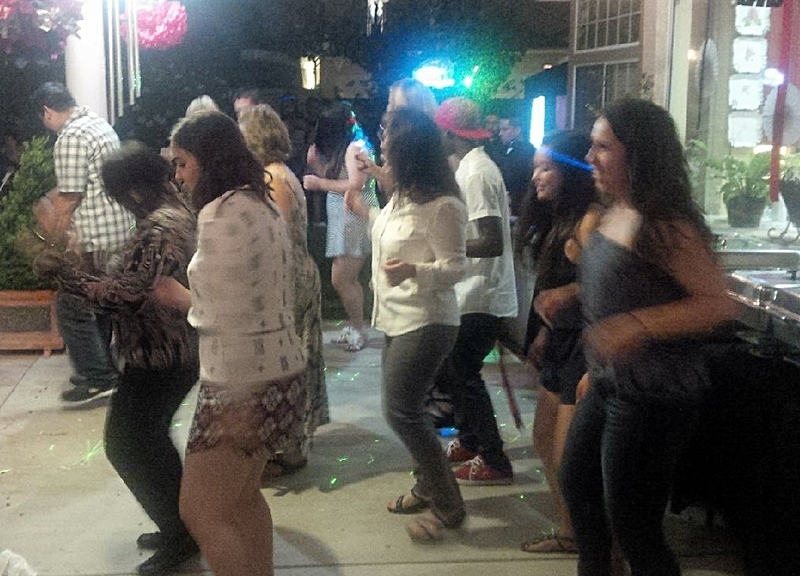 Saturday night, Shaken Not Stirred bartending service was on hand for a graduation party in Chino Hills. It was a high school graduation party, though I didn’t serve alcohol to the high school graduates, but served to their parents and older friends and relatives. It was a very mellow party, though no doubt an important milestone in a young woman’s life, as she prepares to embark on the next adventure in her life – a college career. I am always impressed when family members throw parties in honor of each other. I have said this 100 times on this blog, and I will say it again. Anyone who has a party thrown in their honor is a very blessed person. The father of the graduate was so proud of his daughter, and gave a very touching speech on her behalf. Nobody threw a graduation party for me, because I was a terrible student in high school, and a rebellious teen – I didn’t give my parents much to be proud of in high school. The fact that I even graduated is a miracle. That being said, the group of high school graduated at the Chino hills graduation party were a very nice group of kids. None of them tried to get me to serve them alcohol. They seemed to have a great time sitting at their own table, and when it came time for dancing, they all got out on the dance floor. Anybody who says the youth of today are totally worthless, I will have to say there are countless examples to contrary. I served Cadillac Margaritas, Old Fashioneds, and wine. It was not a hard drinking crowd, but I seemed to stay busy. I have a blender and don’t mind making blended drinks at all. I am pretty good at making them, because I made thousands of blended drinks when I worked at the bar at LAX. We made pina colladas, daiquiris, and margaritas blended. People are amazed when I pour the ingredients into the blender, blend it up, then pour into the glass and it pours right to the top of the glass with nothing left over. That comes with practice. Next week I will be bartending a birthday party in Pasadena on Friday, then travel to Bakersfield on Saturday for a rather large wedding. I am doing all the shopping for the wedding, which I don’t mind doing for a small service charge. This will be my first event in Bakersfield, and I don’t mind going up there, or anywhere if it makes sense financially. At this point, I am still available for the Fourth of July, though I have been emailing back and forth with one person.